This Rothco 3 Season Concealed Carry Jacket In Black will keep you warm from the fall to the spring. 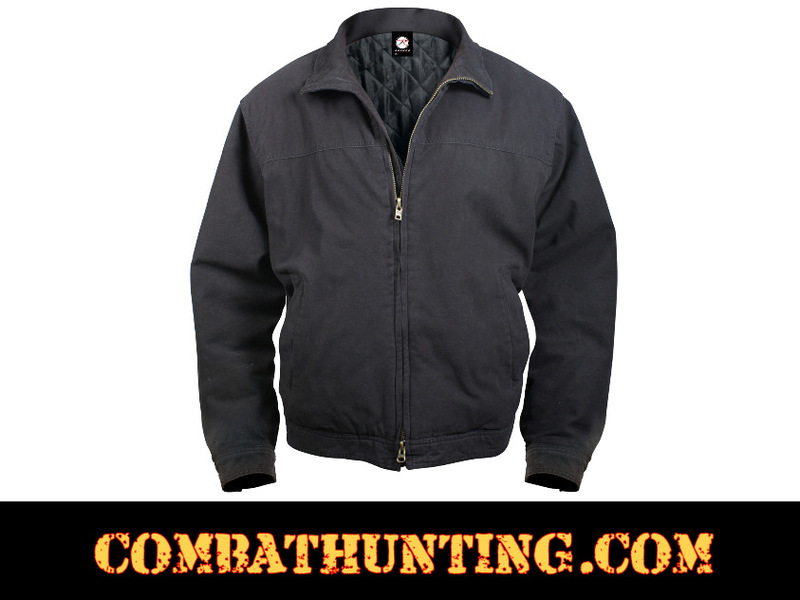 This concealed carry ccw jacket by rothco is one of the best with a washed 100% cotton black outer soft shell and polyester inner lining. 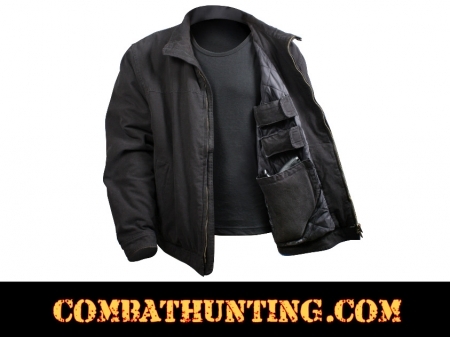 The casual concealed carry jacket comes with a tactical twist it features two inner concealment pockets one on each side with hook and loop closures and four inner mag pockets with hook & loop flap closure. Additional features include; two tricot lined front zipper pockets, button closure wrists, and button adjustment waist straps.